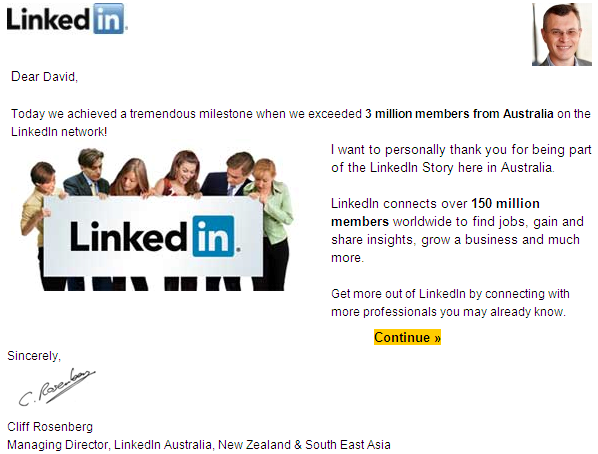 LinkedIn has just sent an email out to all their Australian members – letting us know that there are now 3 million Australian’s registered to LinkedIn. According to Google Adplanner, in February 2.2 million unique Australian visitors went to the LinkedIn site. So whilst LinkedIn has reached this 3 million milestone, how many are active users? I would estimate the figure is closer to 2 million. Whilst Google report 2.2 million Australians visiting the site, not everyone would have an account.